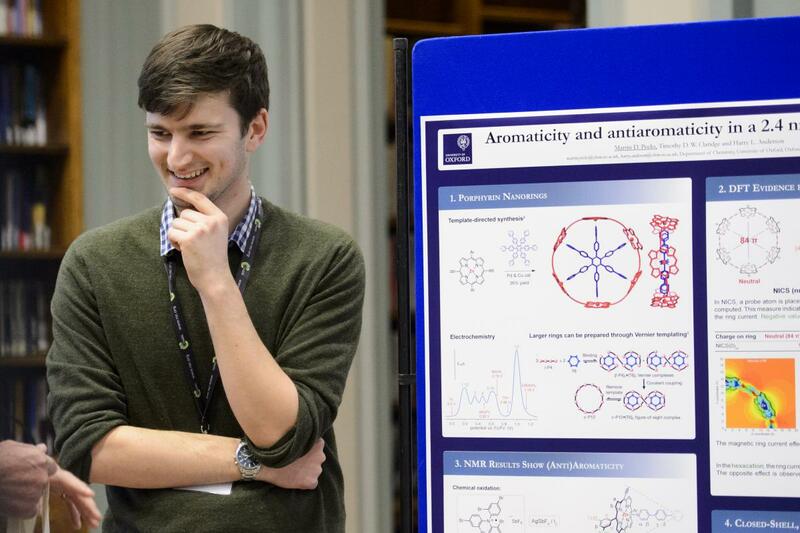 RSC Organic Divison Poster Session, 2016. Image copyright Royal Society of Chemistry/MPP Image Creation Limited. Welcome to my research website! I am currently a Lindemann Trust Postdoctoral Fellow in the Swager group at MIT. I am working on developing magneto-optical materials. For more info, check out my research page. Before starting in the Swager group, I completed my DPhil with Prof Harry Anderson at Oxford. You can read more about what I did during my DPhil on my research and publications pages. If you have any questions, or would like a copy of my CV, please get in touch!